[Below: HA! 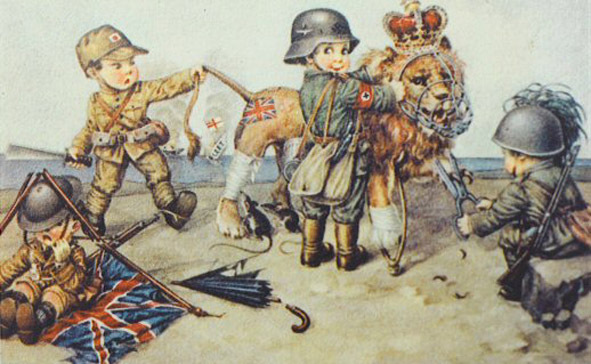 Here the English lion is muzzled by a German child, its claws are clipped by an Italian child, while a Japanese child pulls its tail! 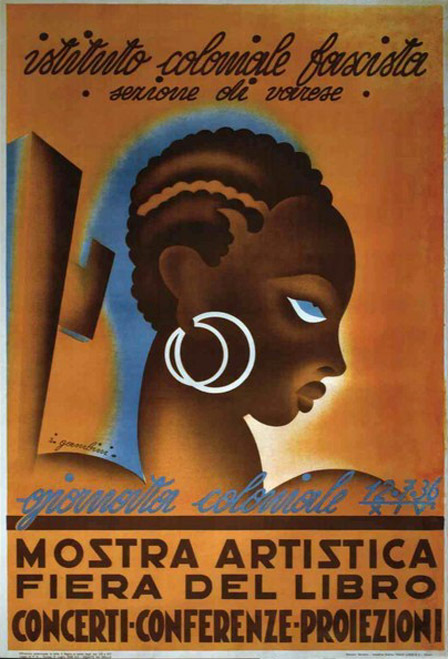 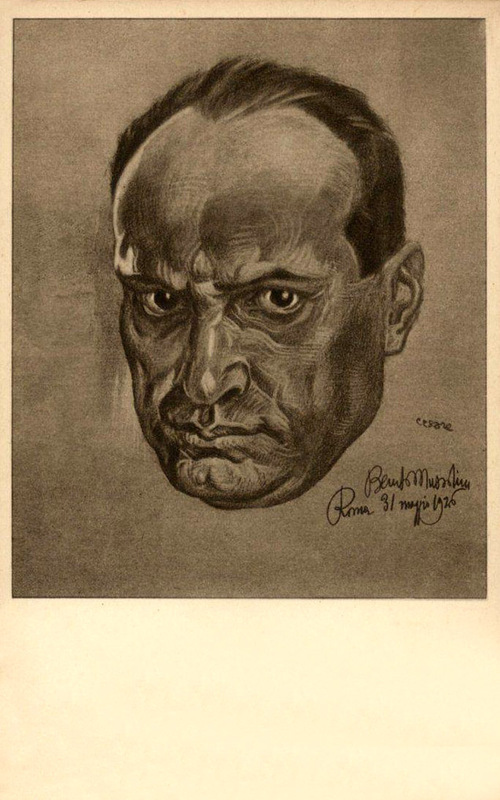 The following are done by the superb Italian artist Julius Bertoletti. 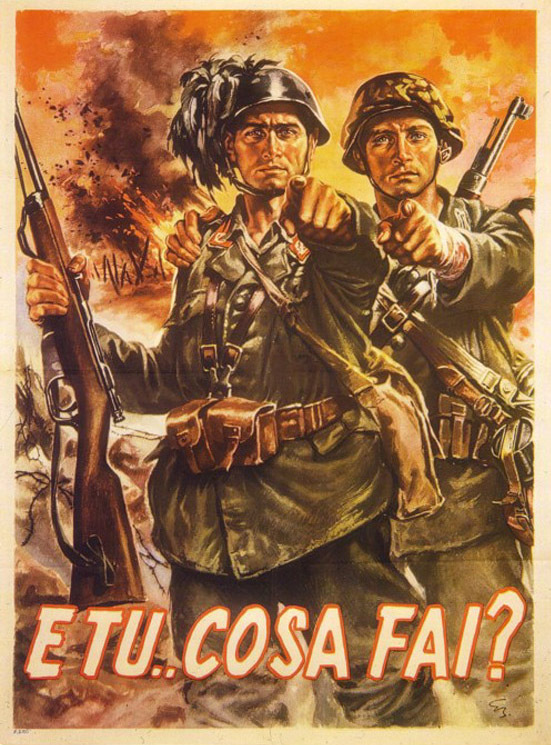 They basically say 'And you... what do you do?' 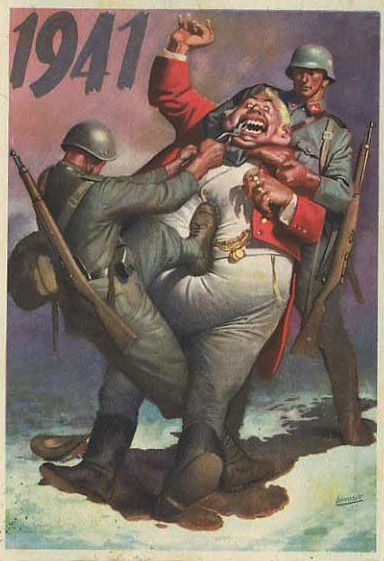 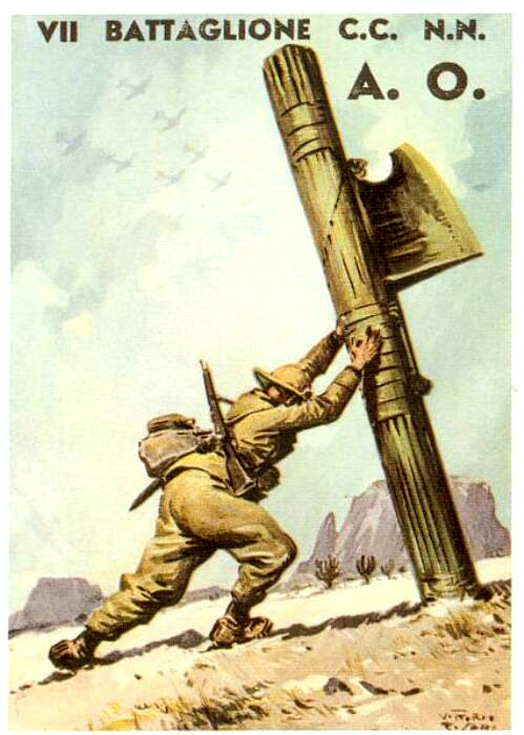 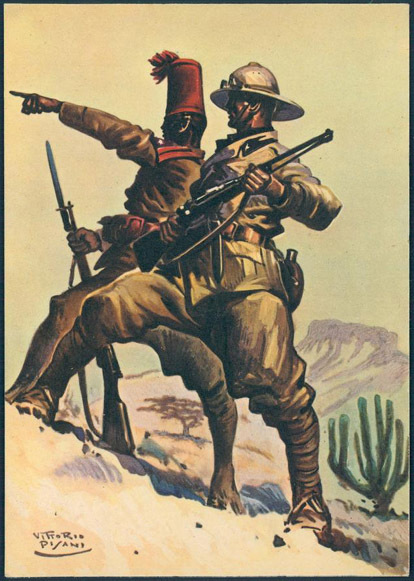 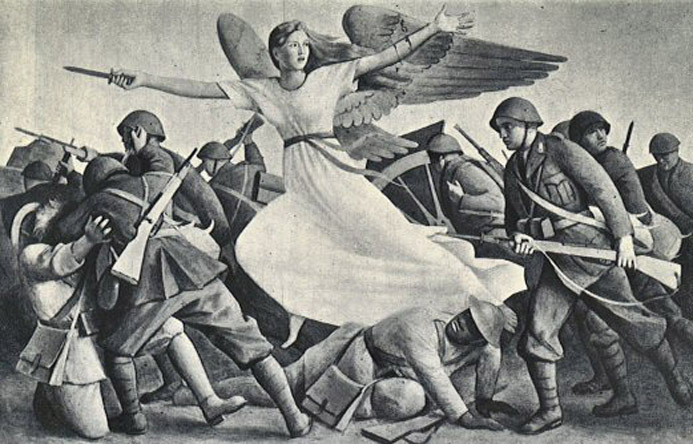 For the war effort, of course. 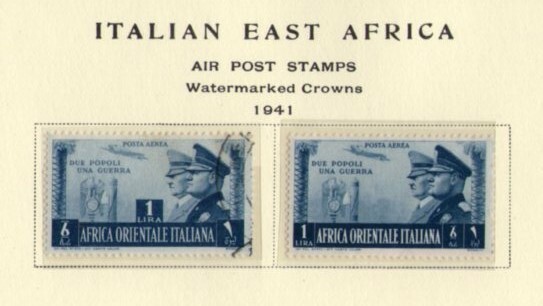 These are rare stamps from an Atlantic Ocean U-boat base. 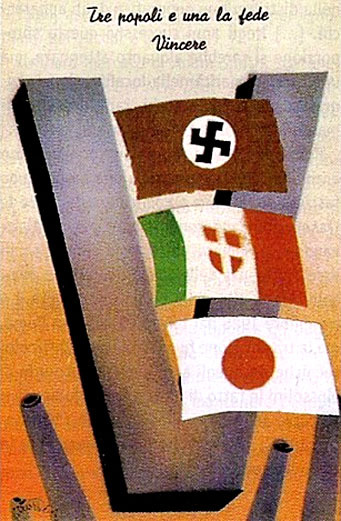 A U-boat base was established at Bordeaux by the Italian Regia Marina Italiana in 1940. 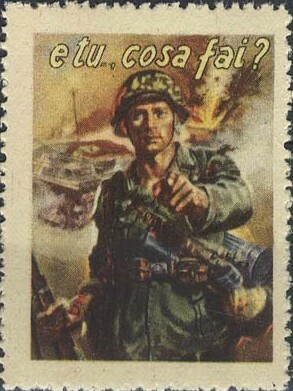 From this base the Italians launched attacks on Allied ships. 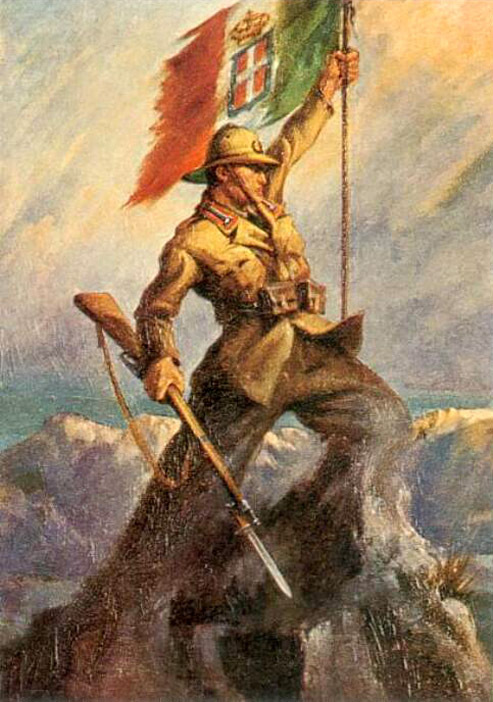 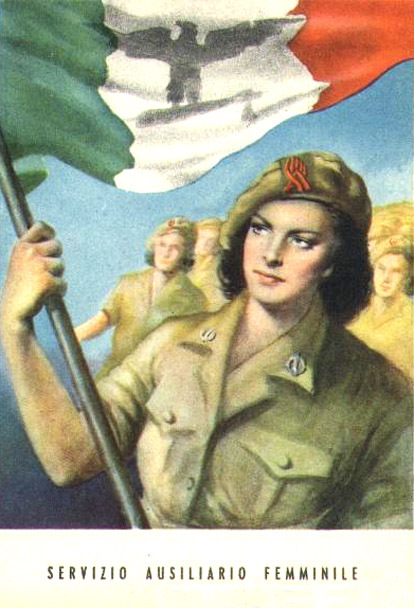 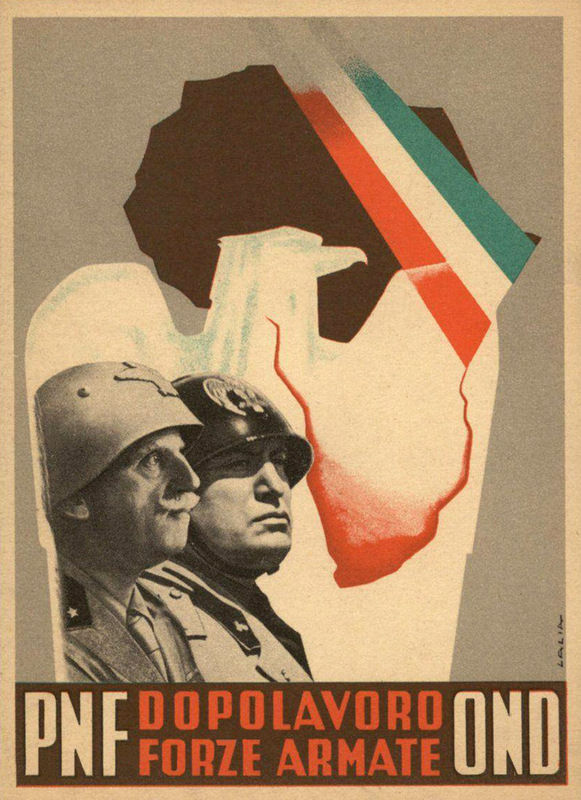 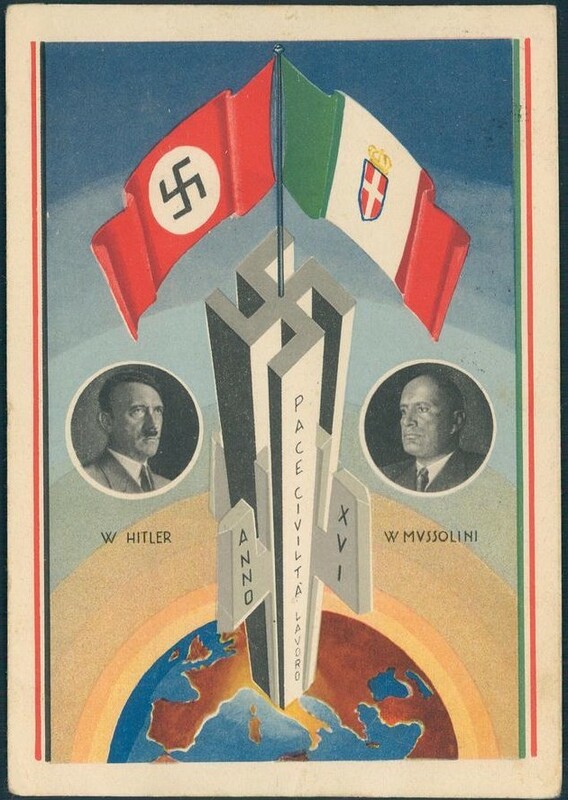 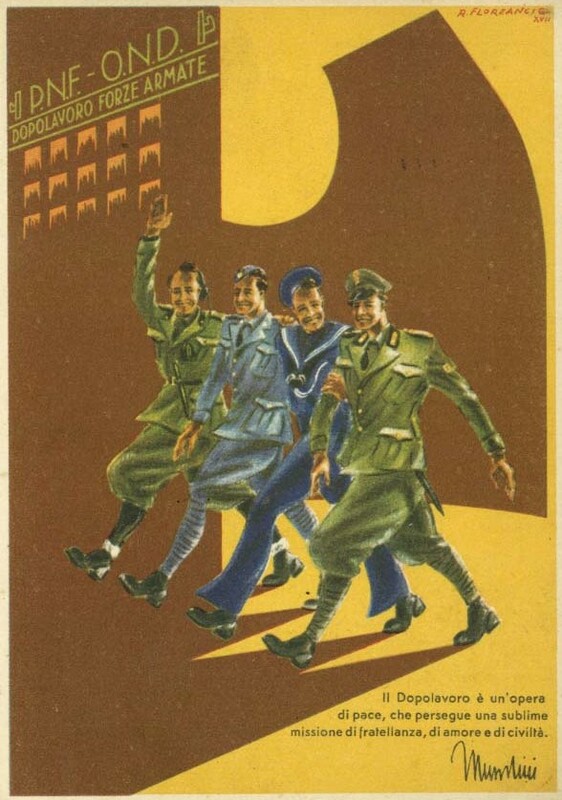 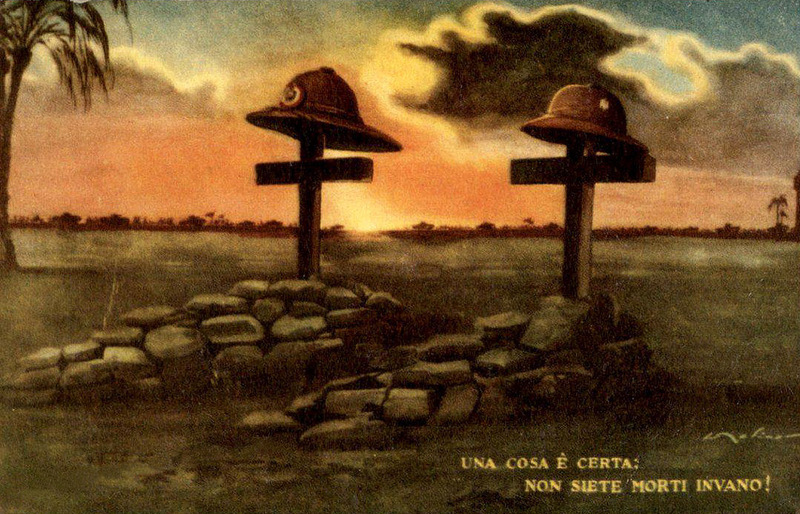 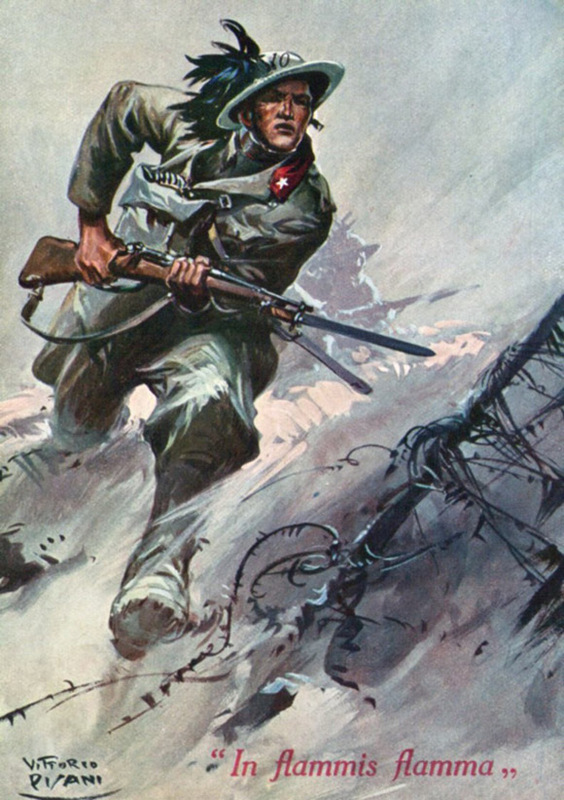 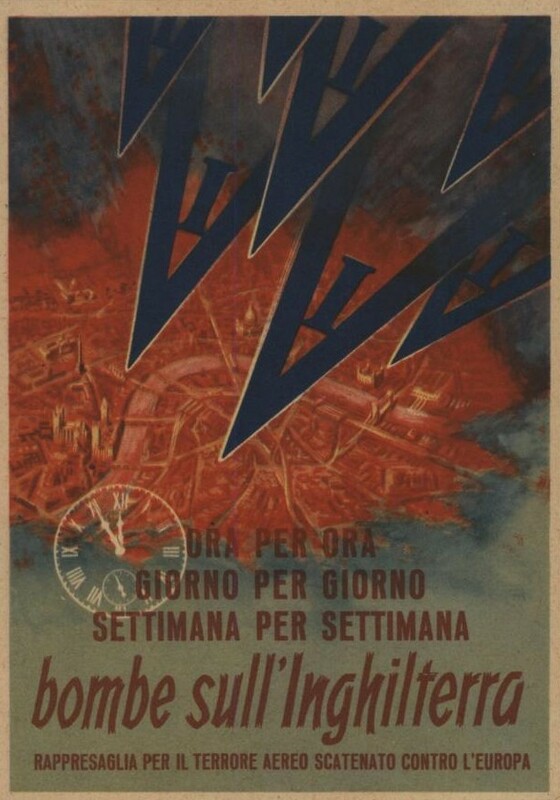 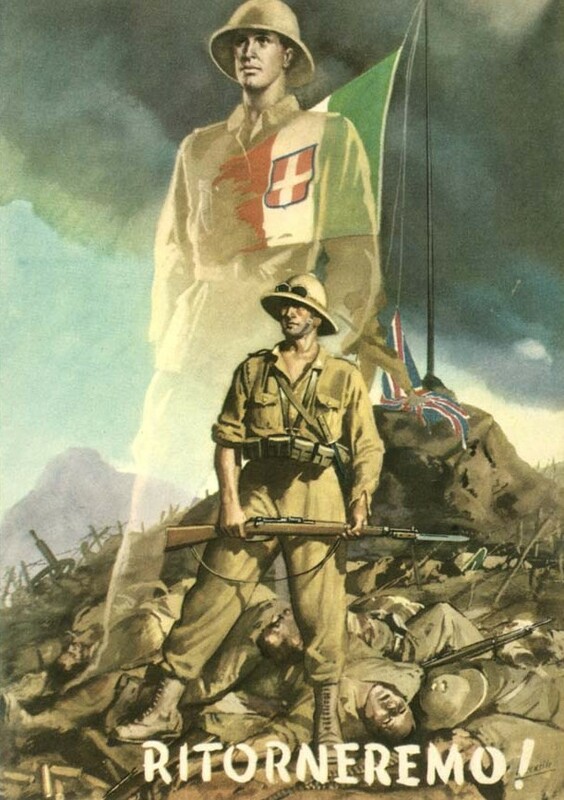 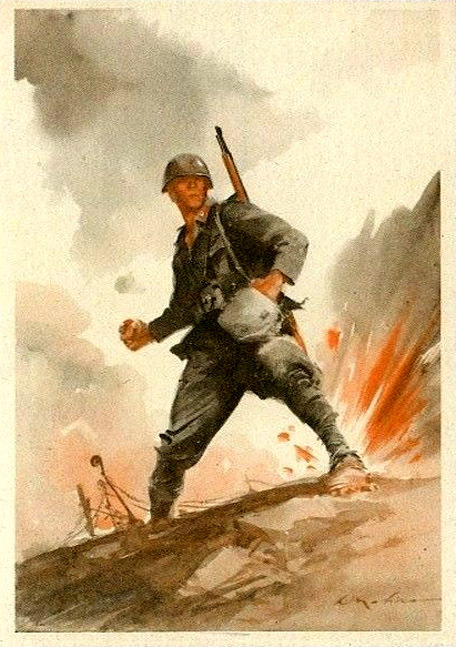 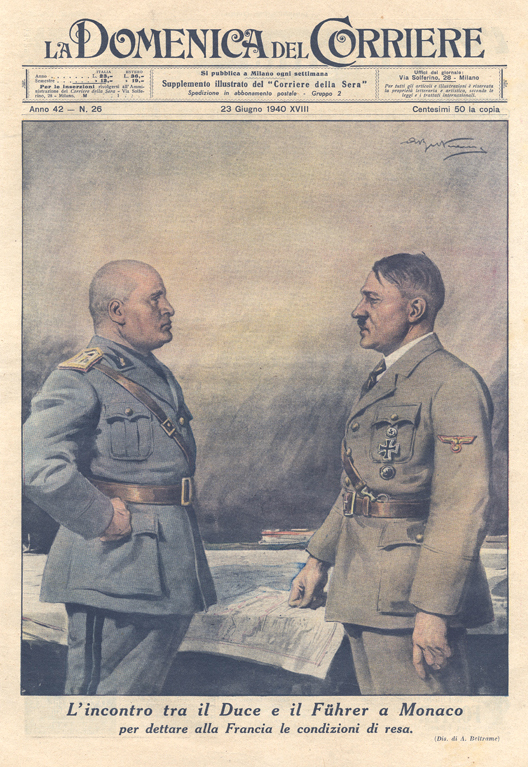 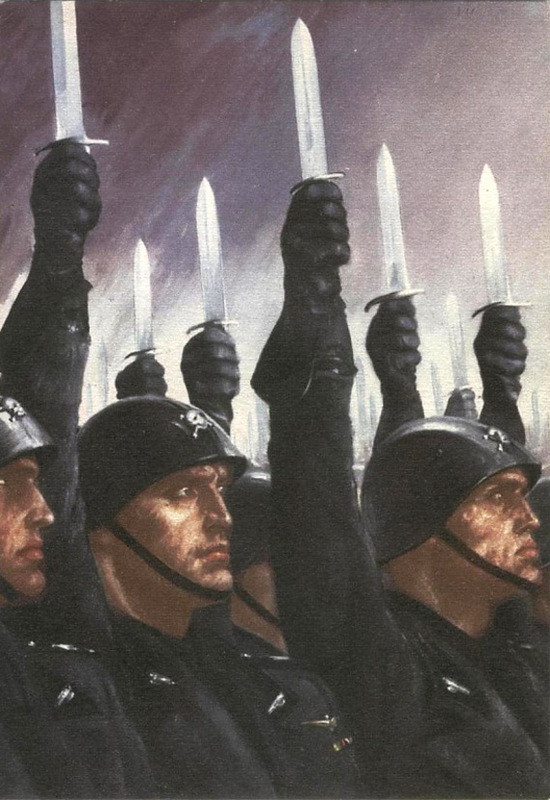 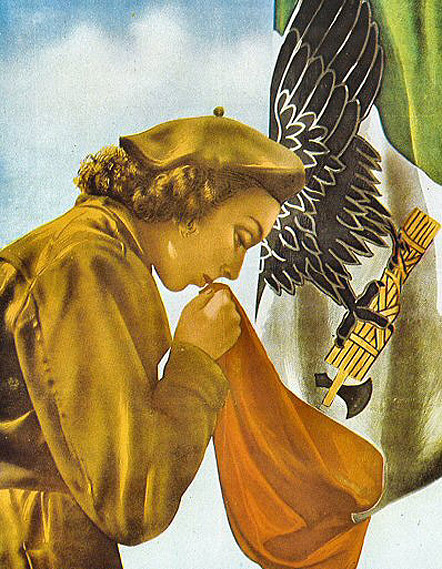 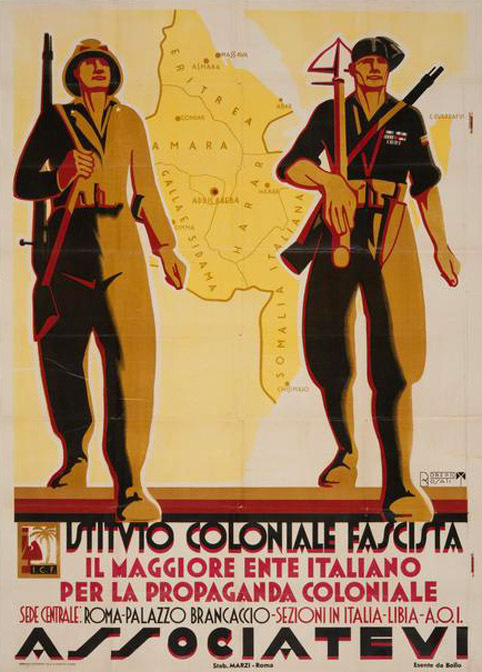 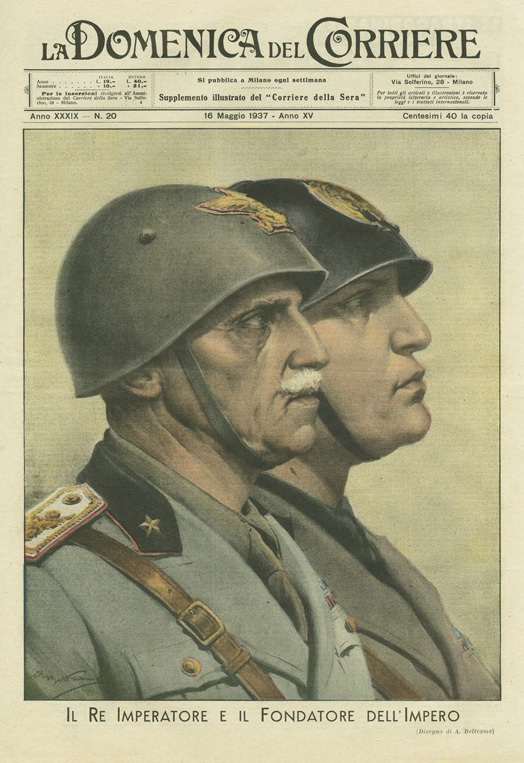 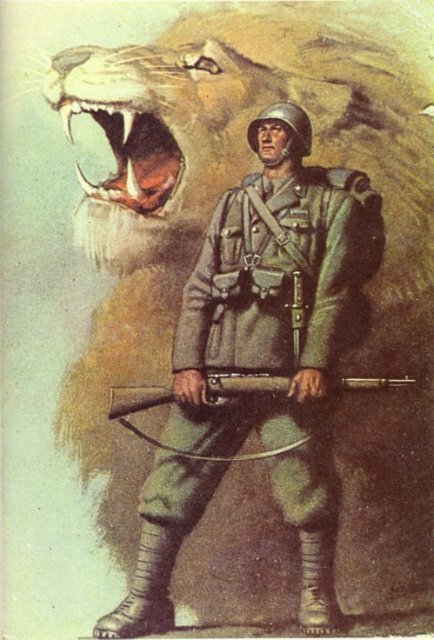 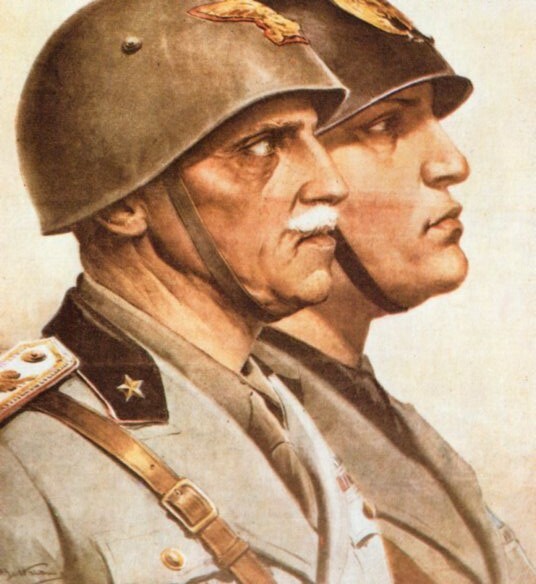 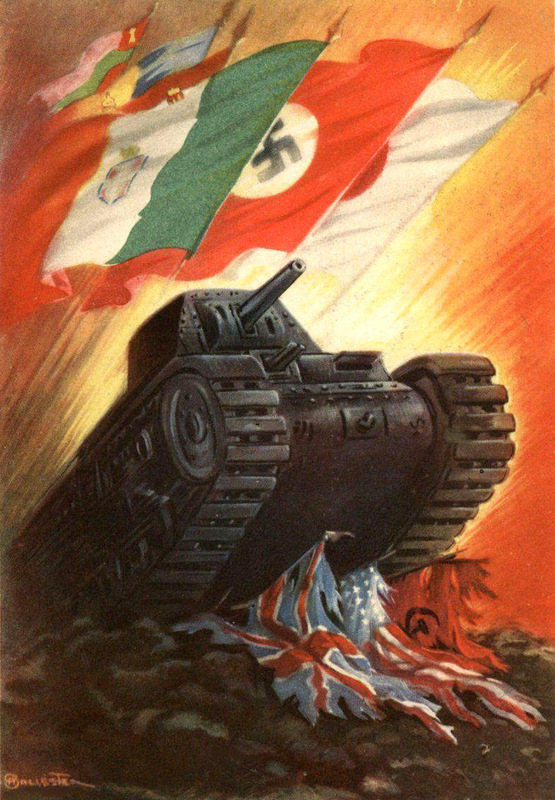 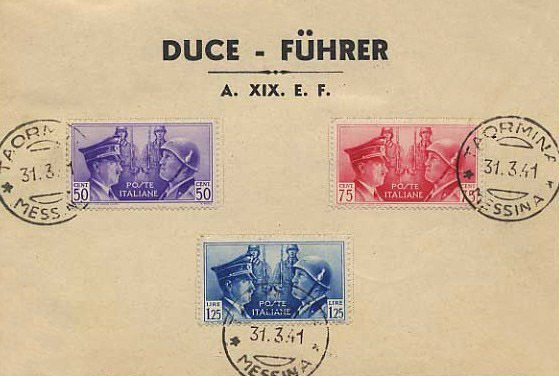 After the Italian surrender in September 1943 the base was quickly seized by German forces, leaving much of the Italian naval personnel at the base who were still loyal to Mussolini. 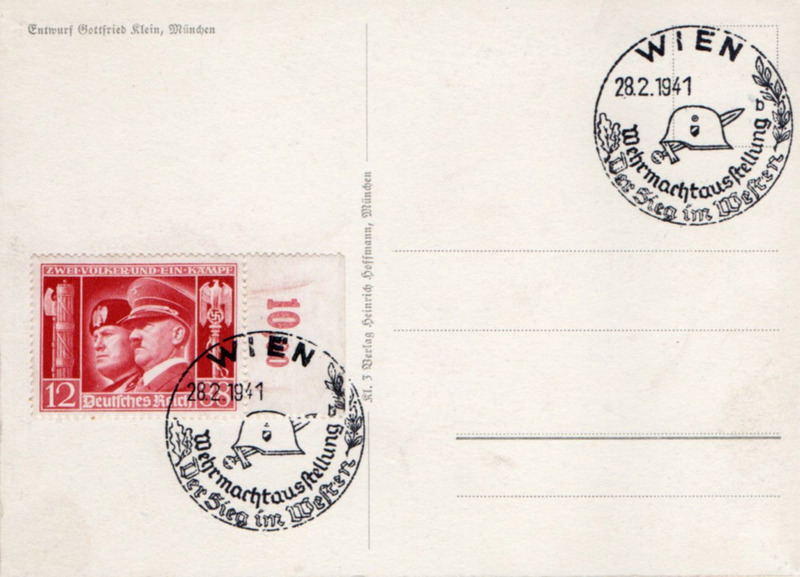 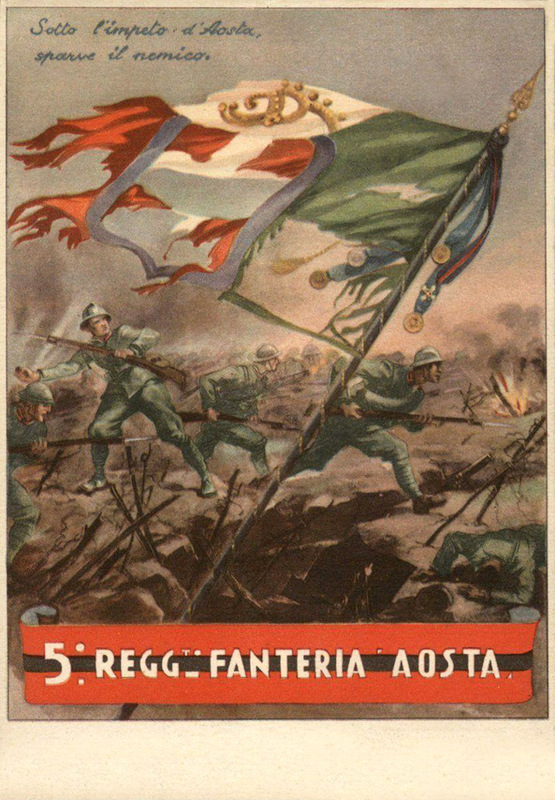 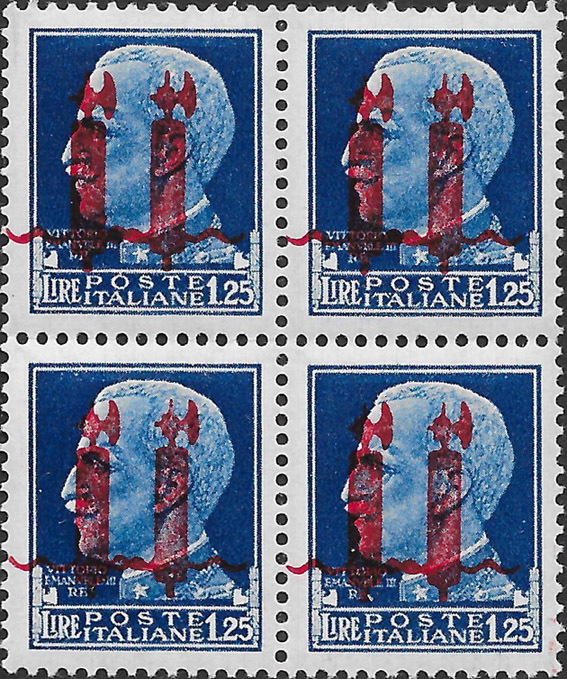 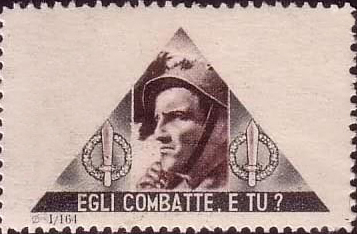 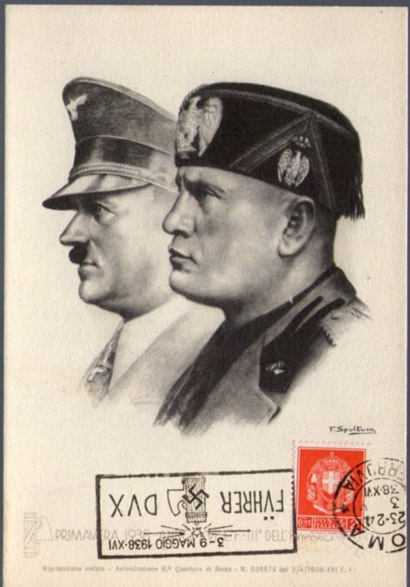 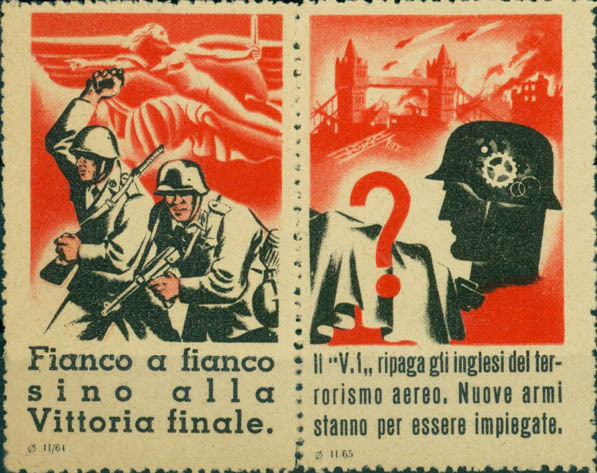 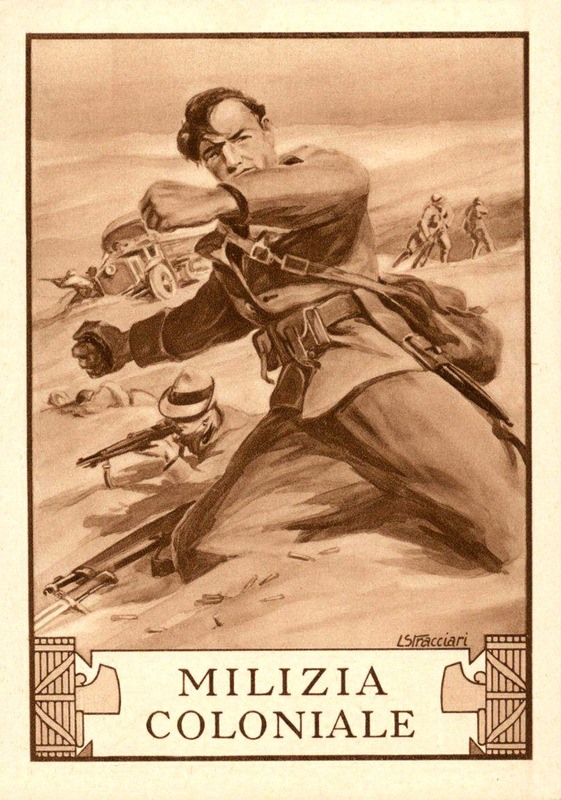 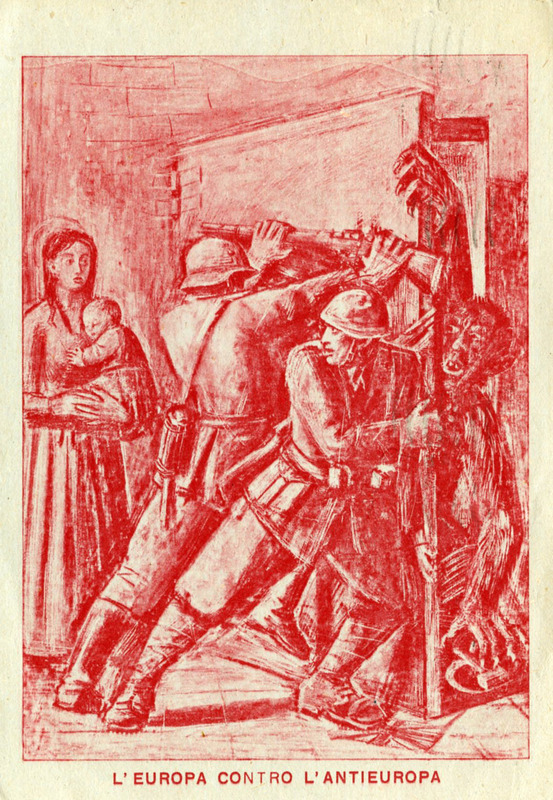 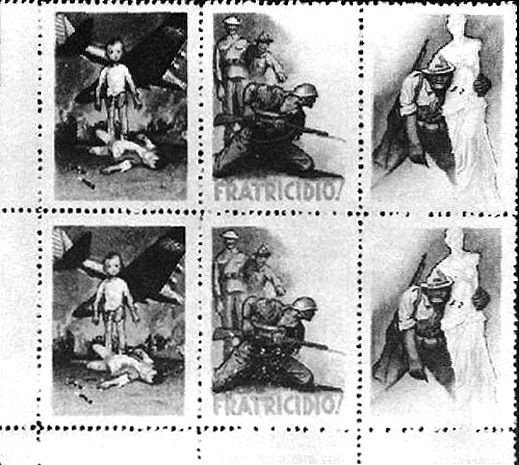 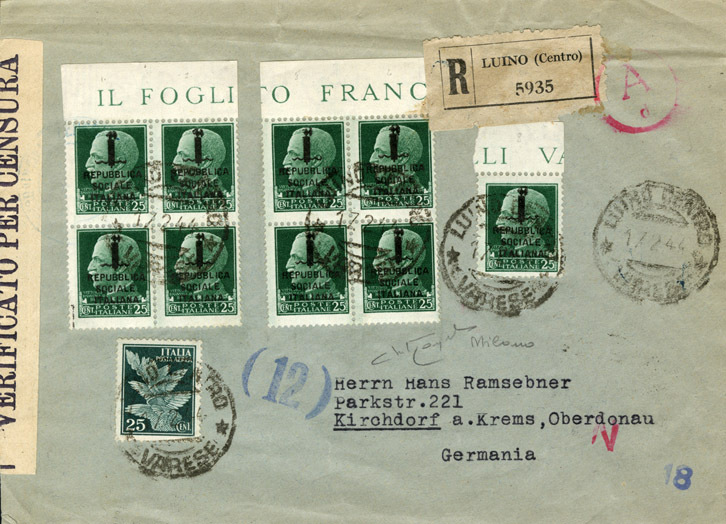 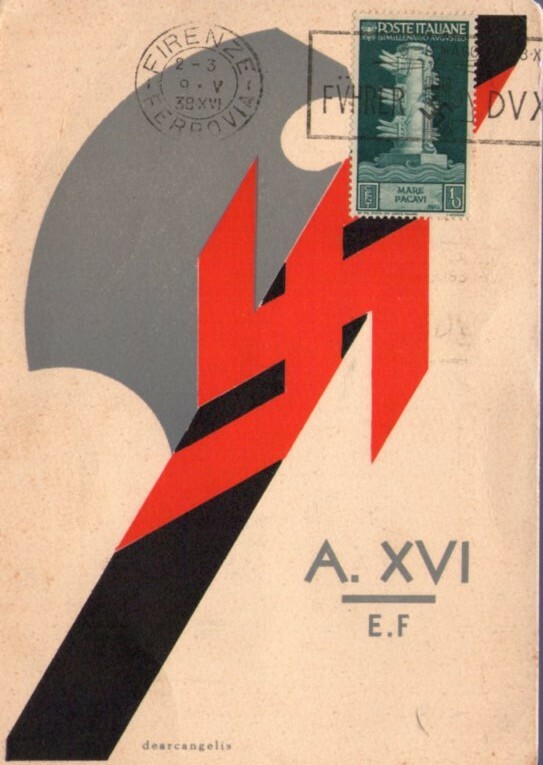 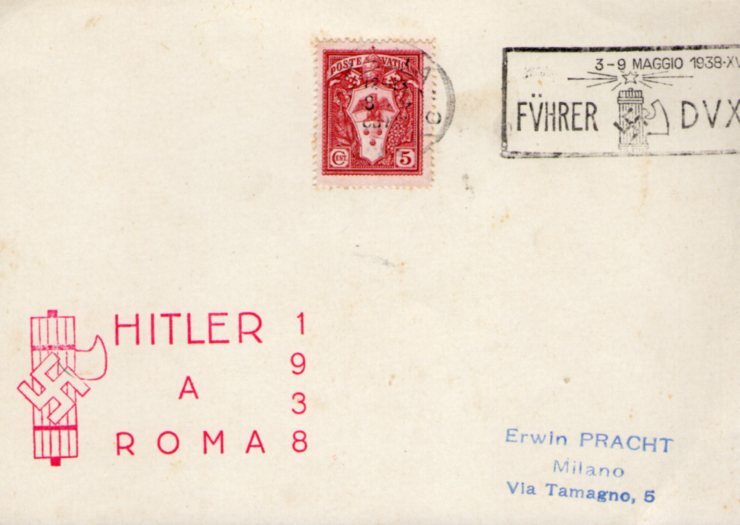 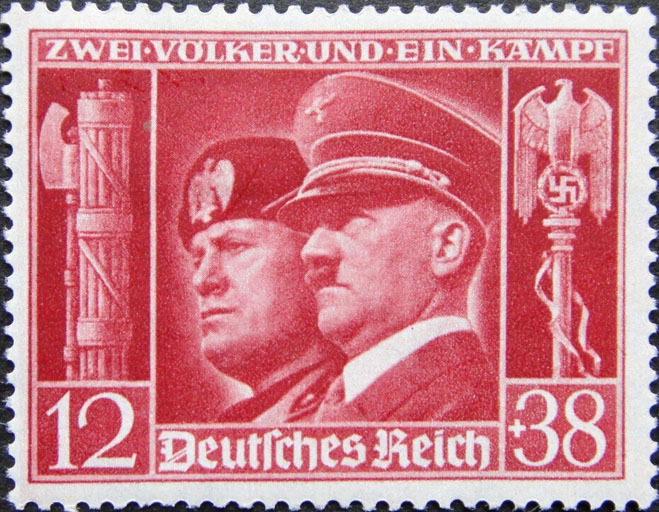 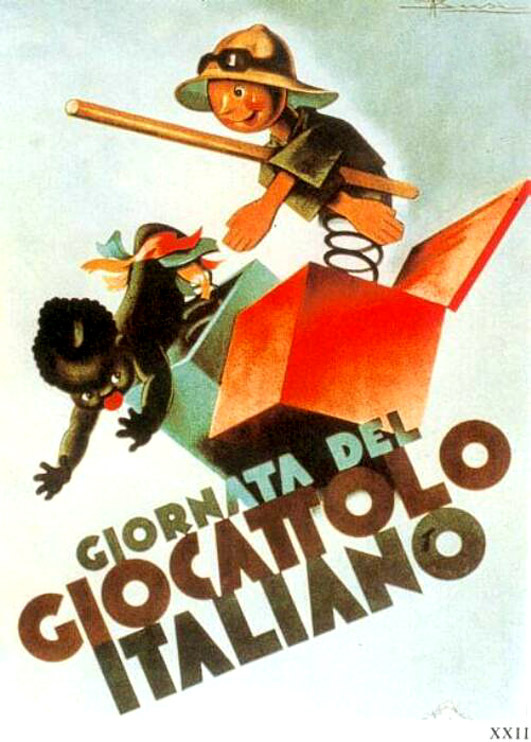 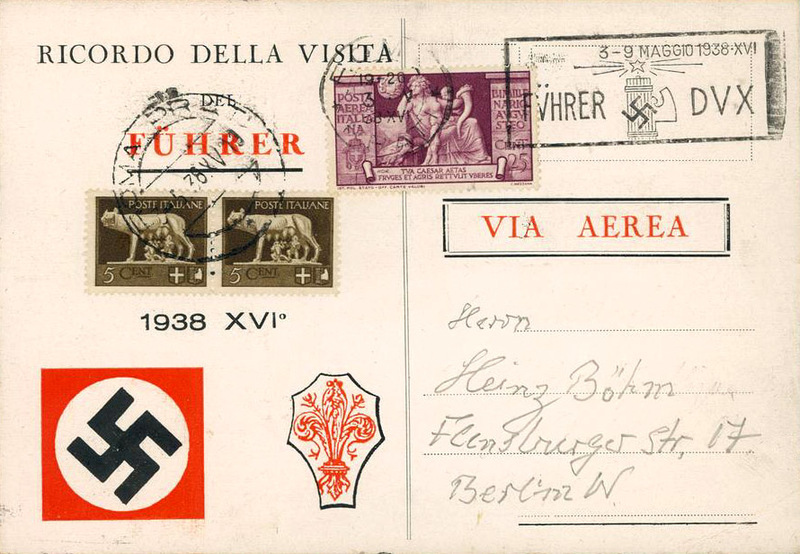 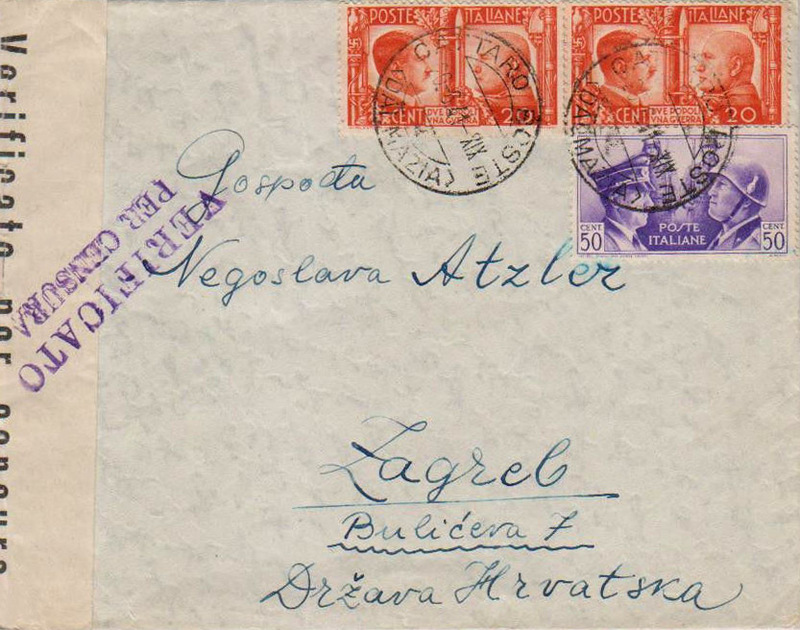 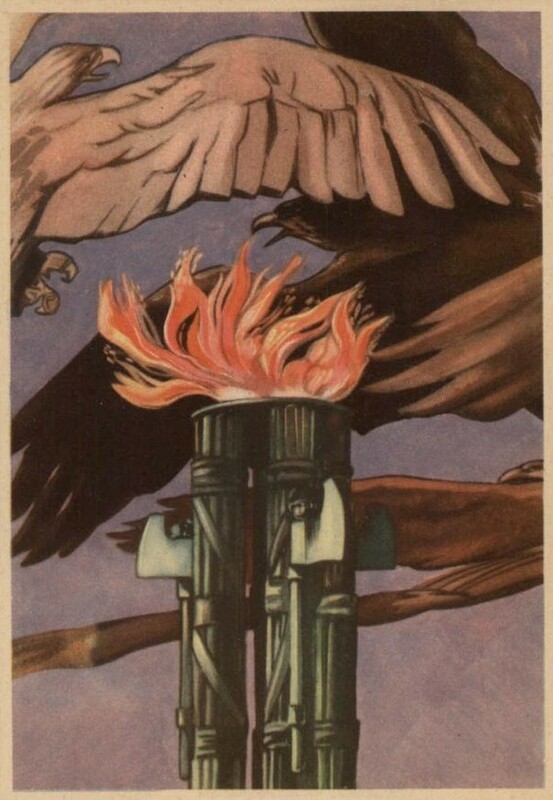 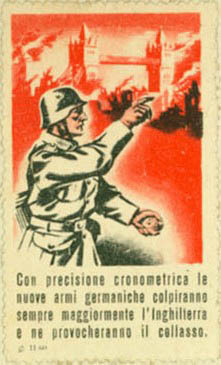 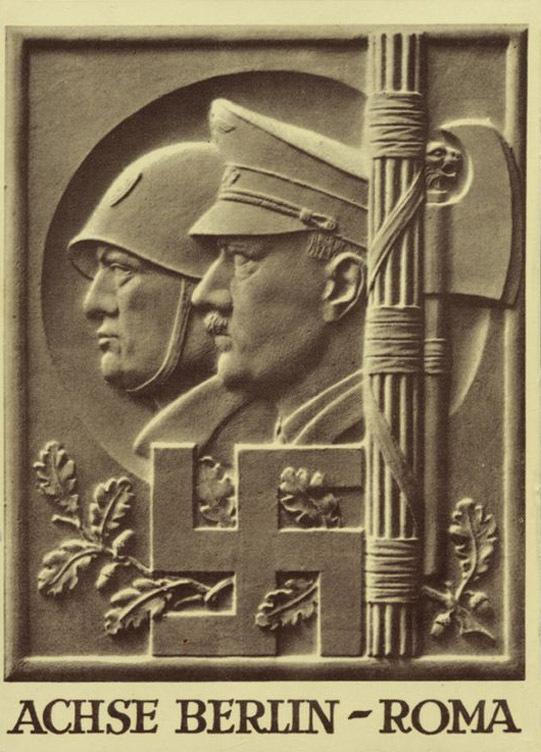 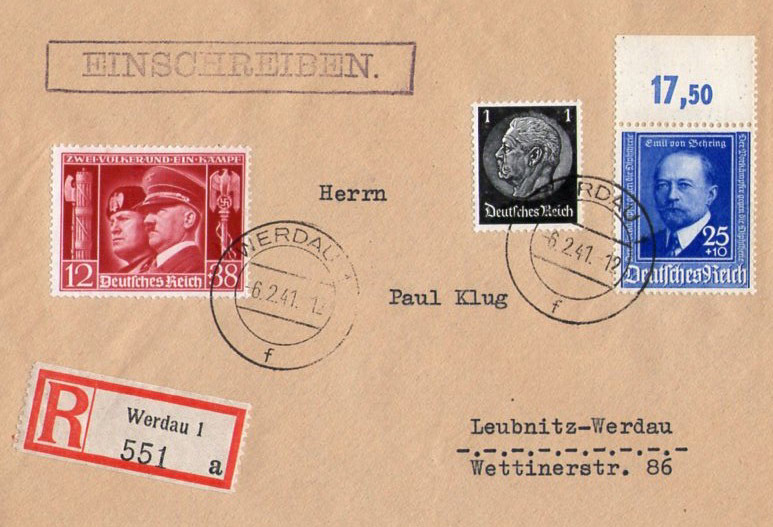 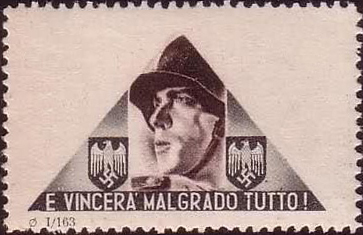 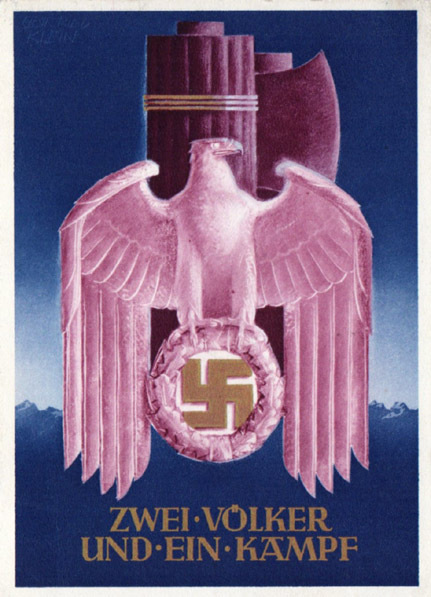 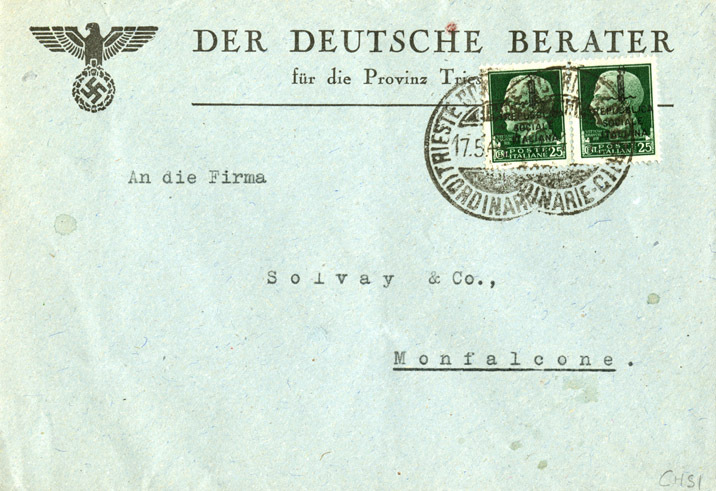 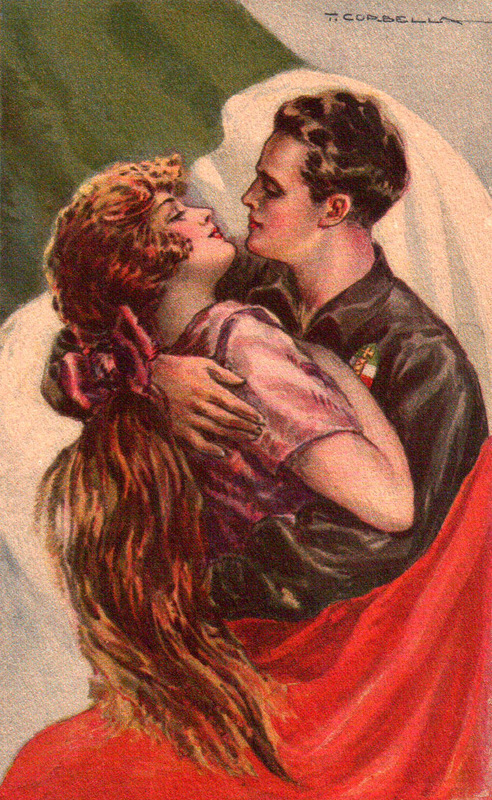 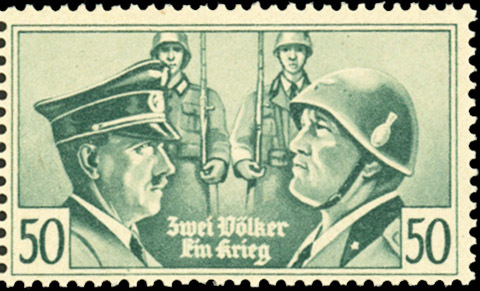 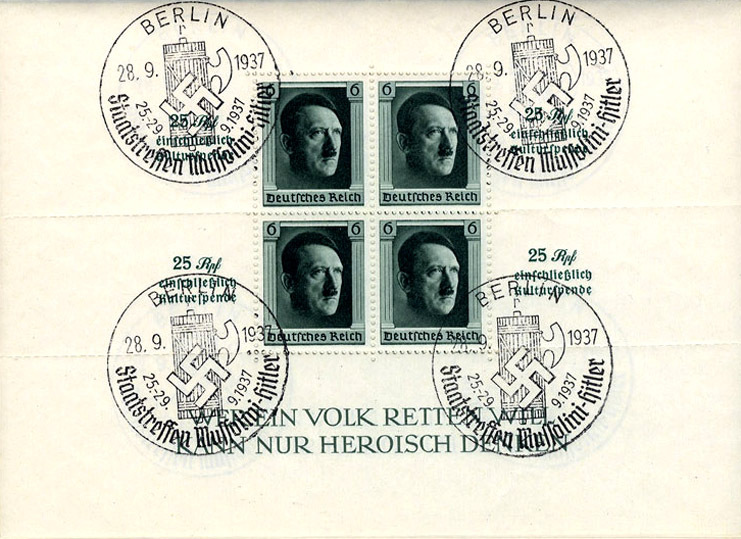 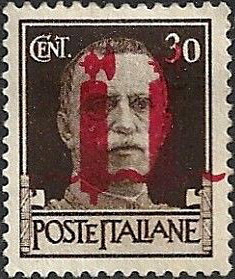 The Italian postage stamps found there were overprinted by the Germans, as seen below. 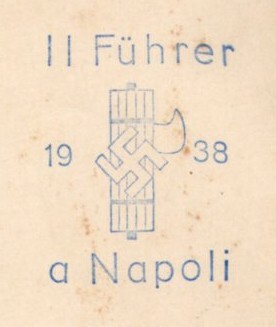 Circa 1943. 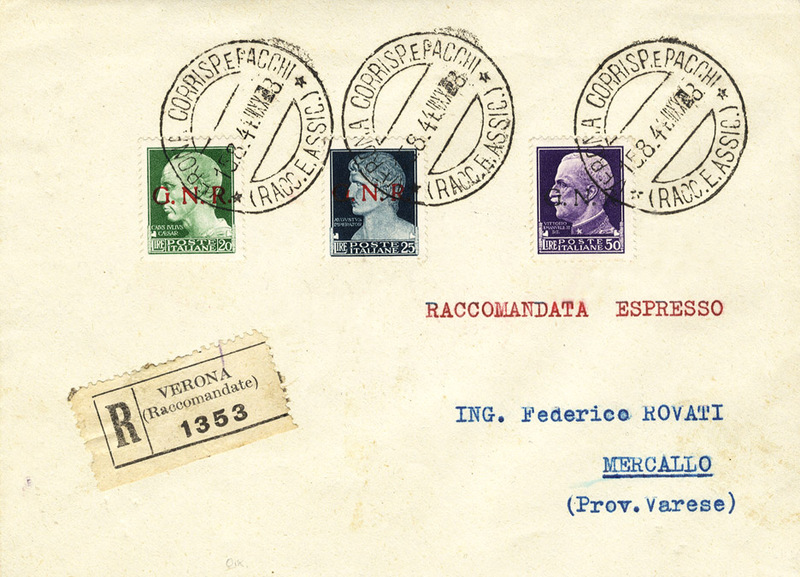 A different style overprint from that above, these are extremely rare stamps from an Atlantic Ocean U-boat base. 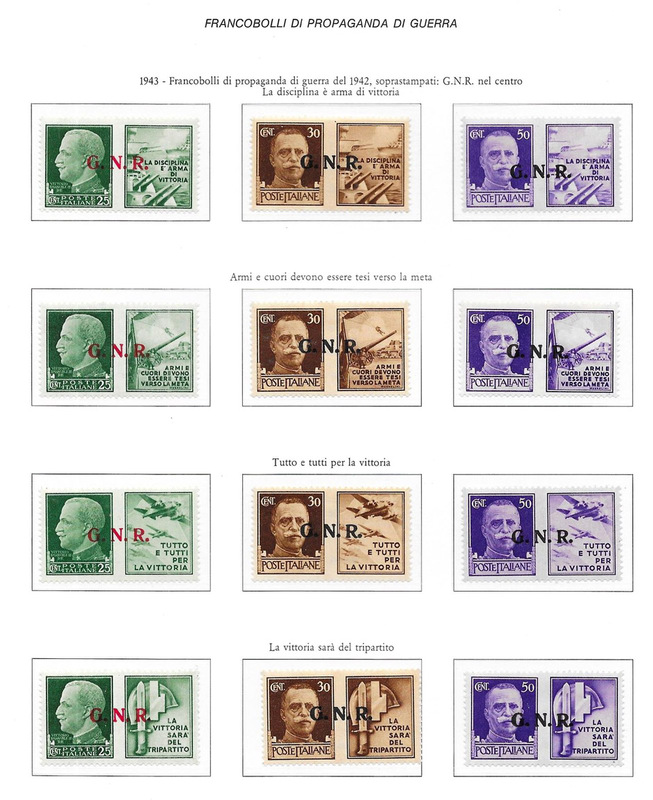 Only 200 sets were printed! 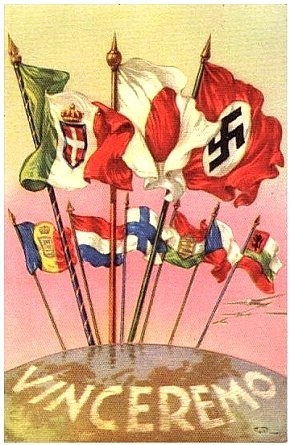 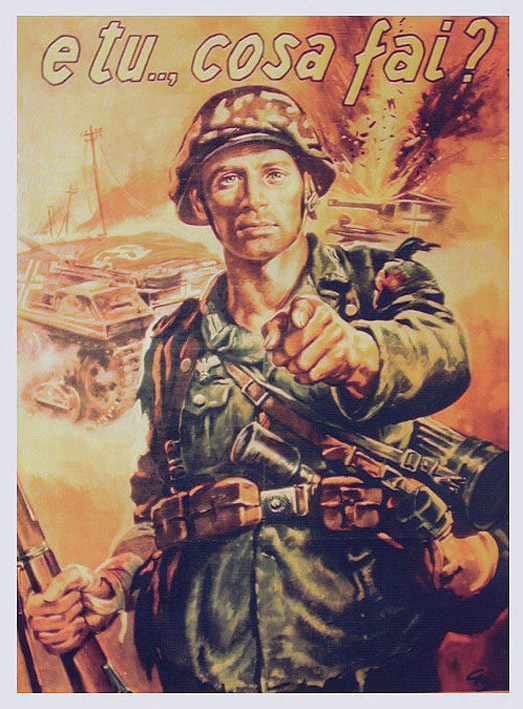 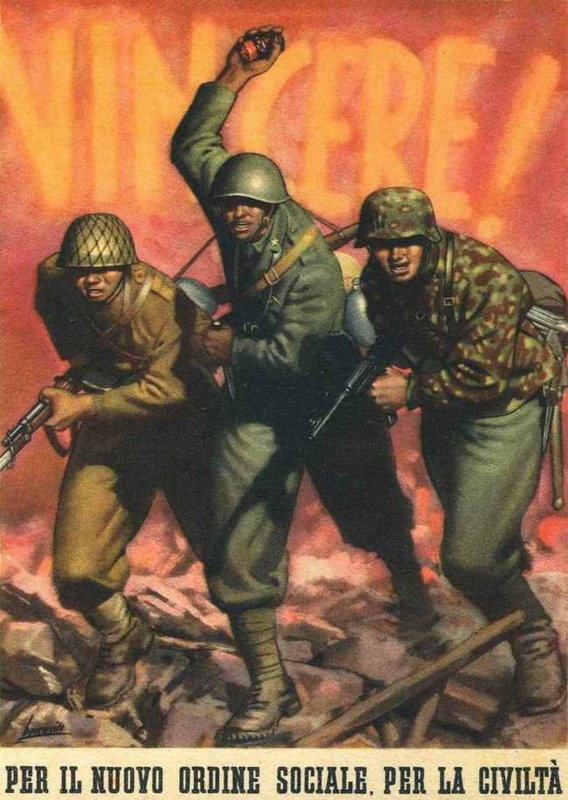 Circa 1944. 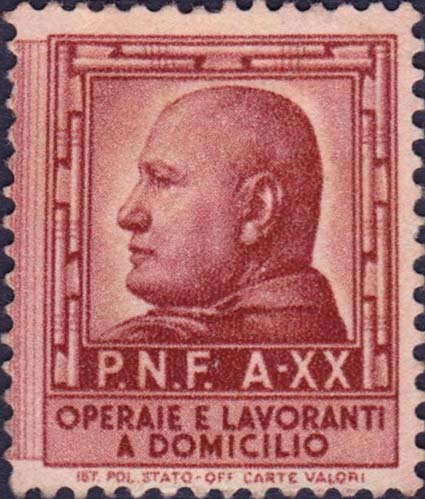 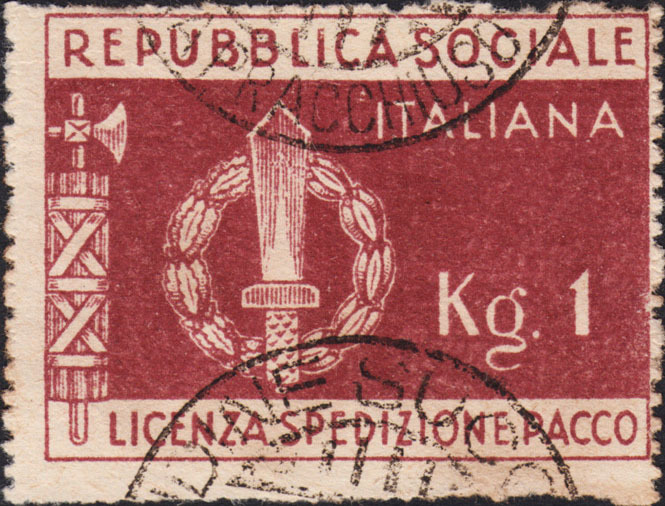 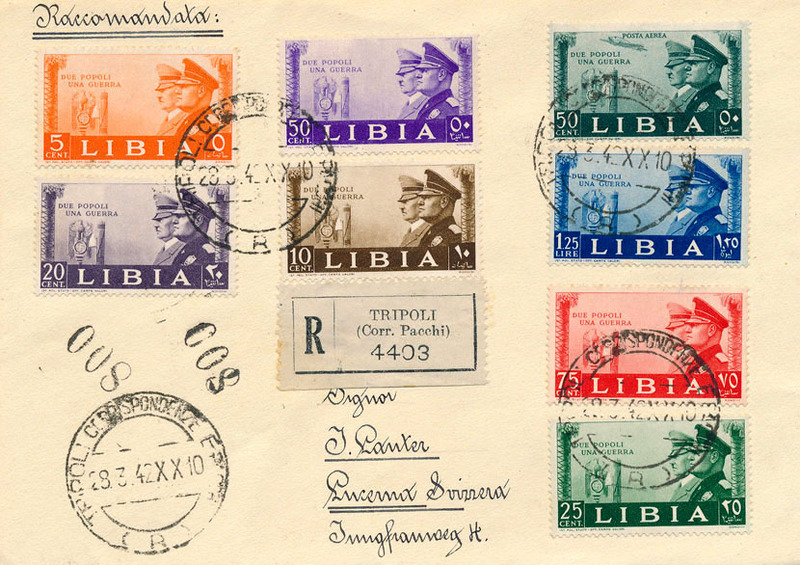 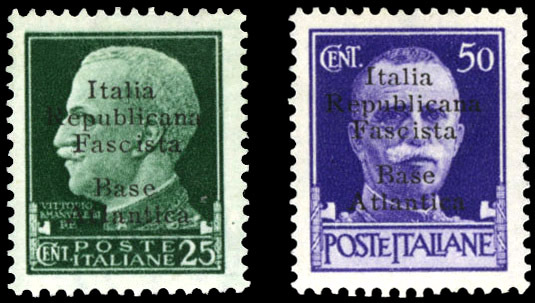 These stamps are extremely rare overprinted local stamps from the Italian Social Republic, which was set up after Mussolini was freed by Otto Skorzeny. 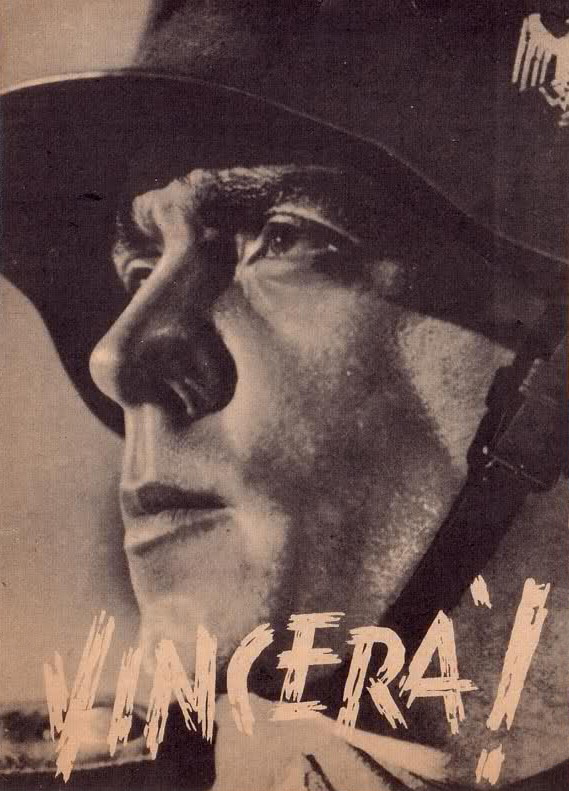 Circa 1944. 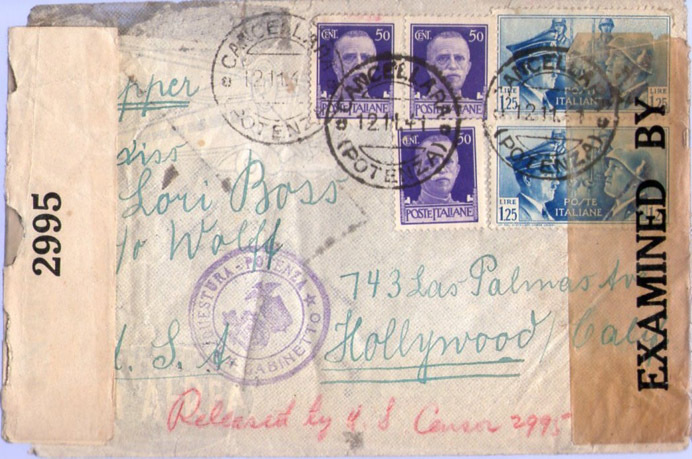 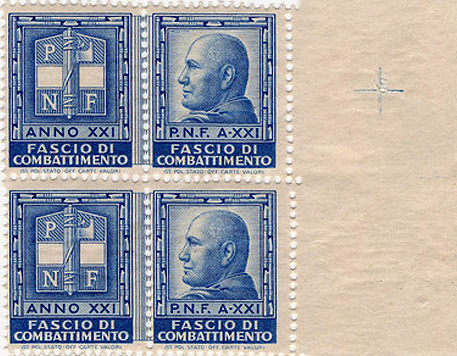 As above, these are locally overprinted stamps, extremely rare, 1944. 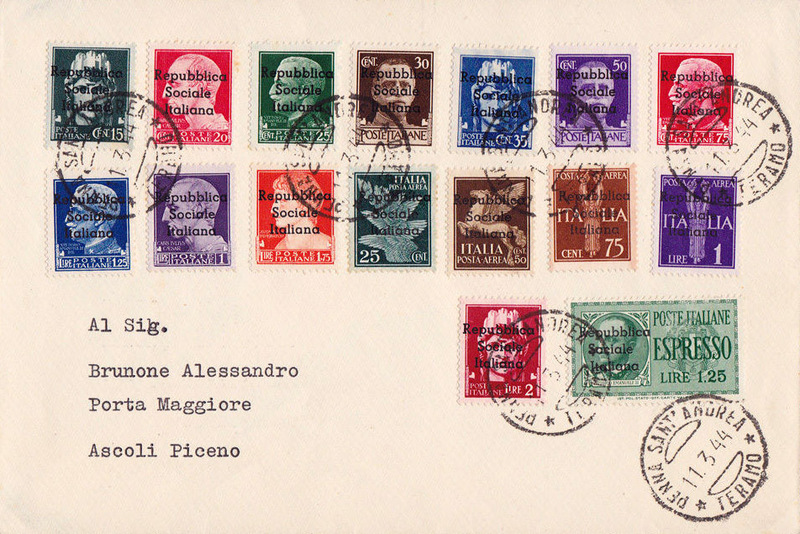 Another set of very rare locally overprinted stamps, from Alessandria. 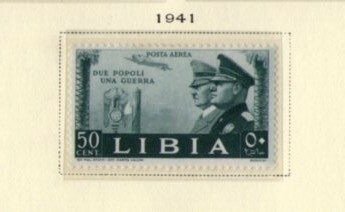 Circa 1945 local. 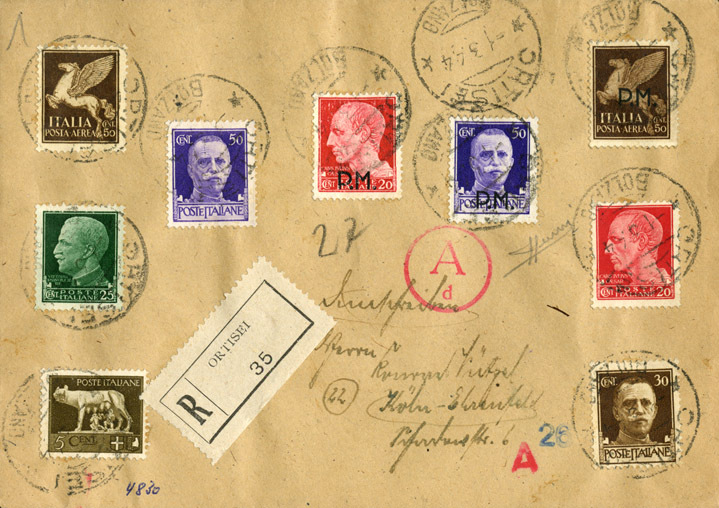 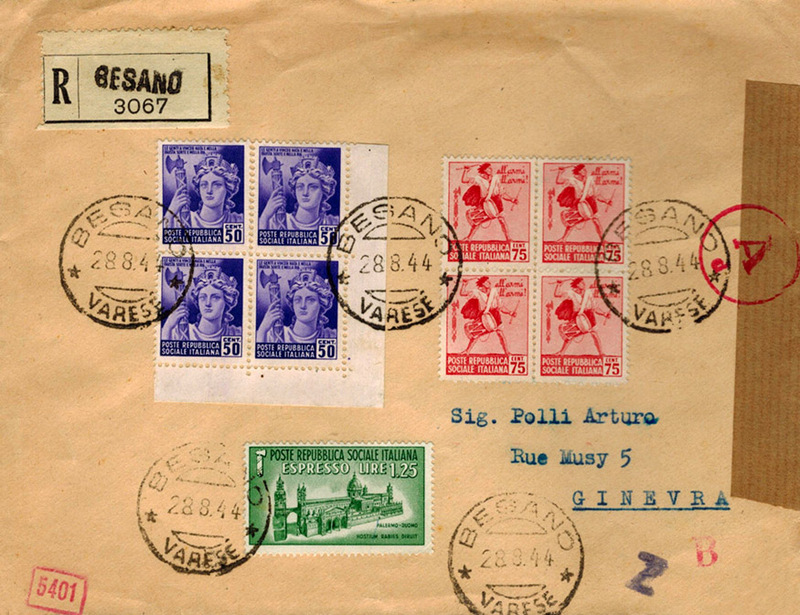 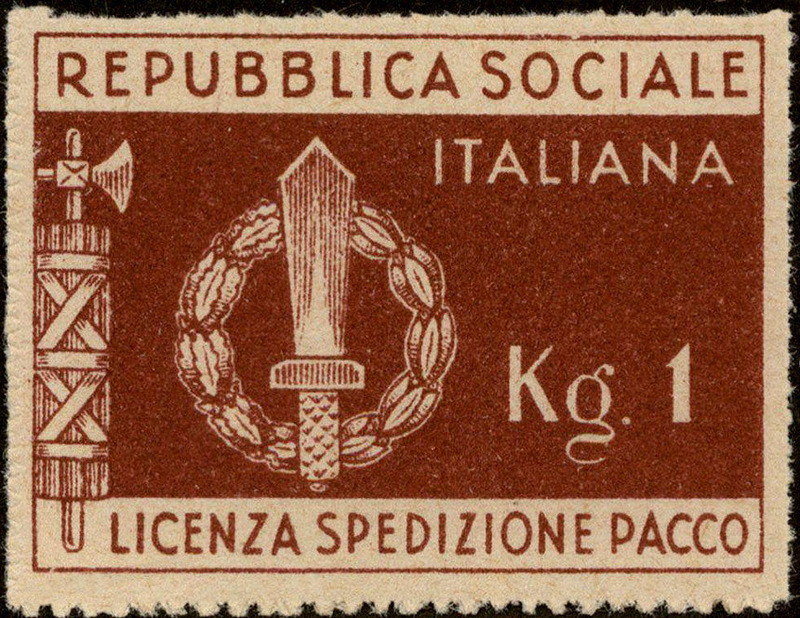 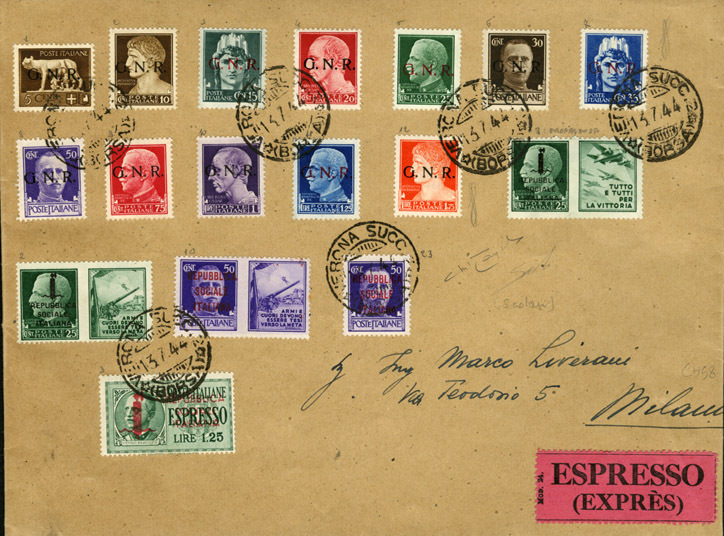 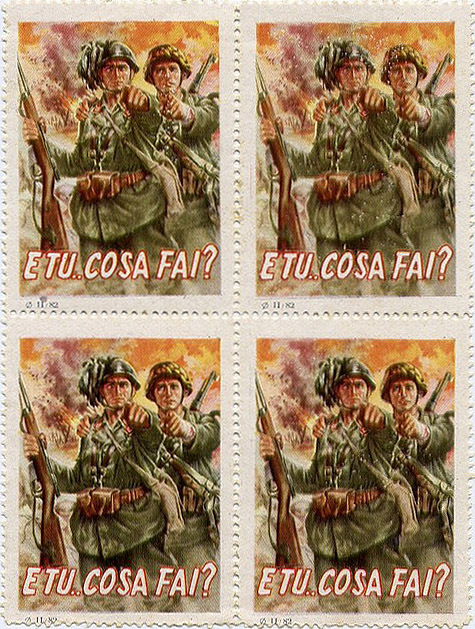 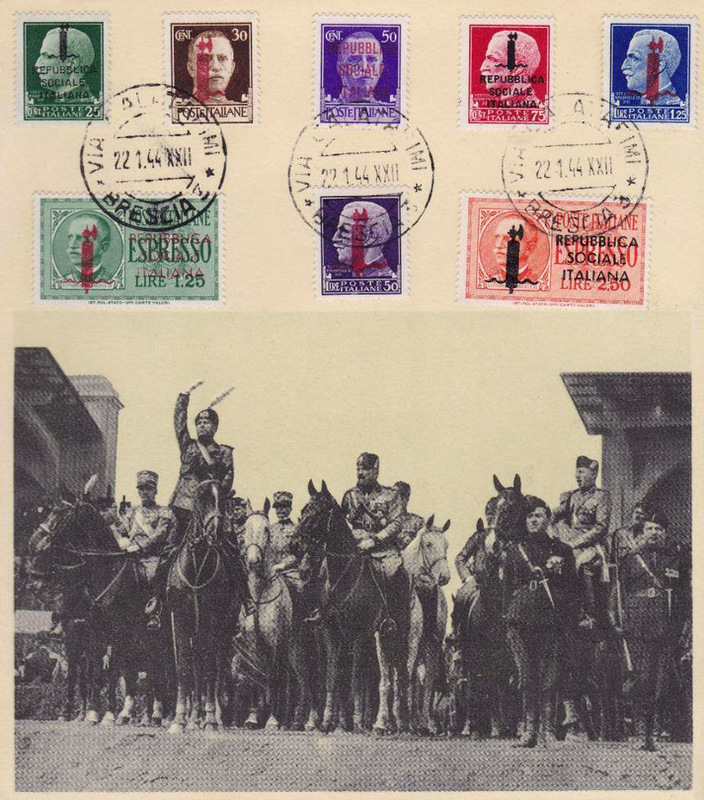 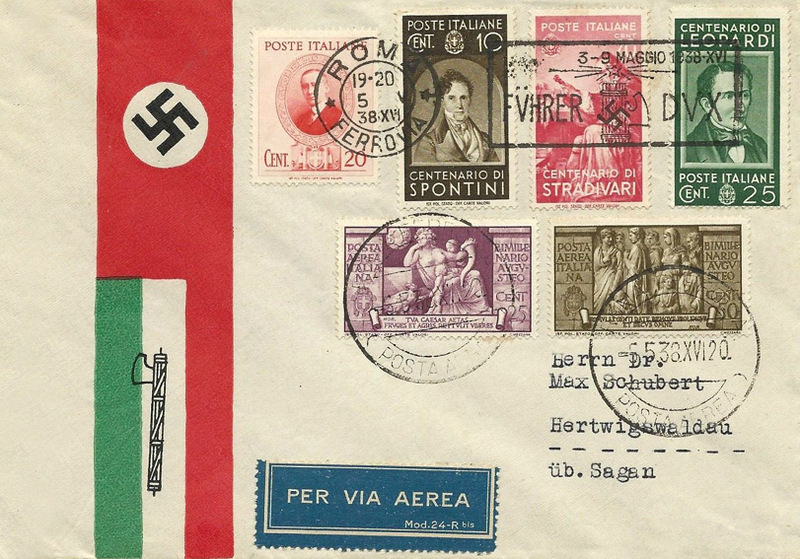 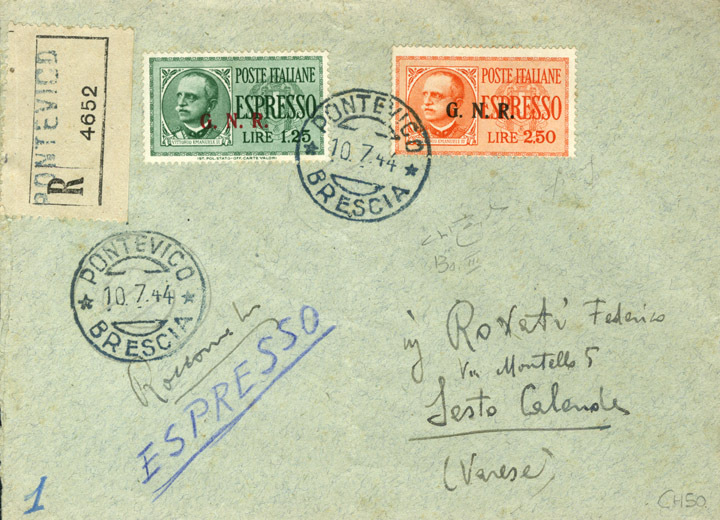 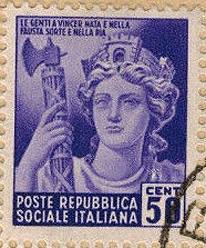 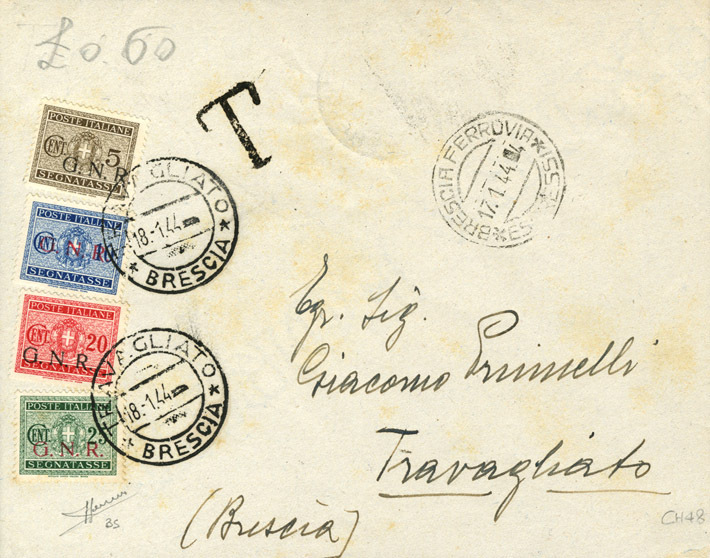 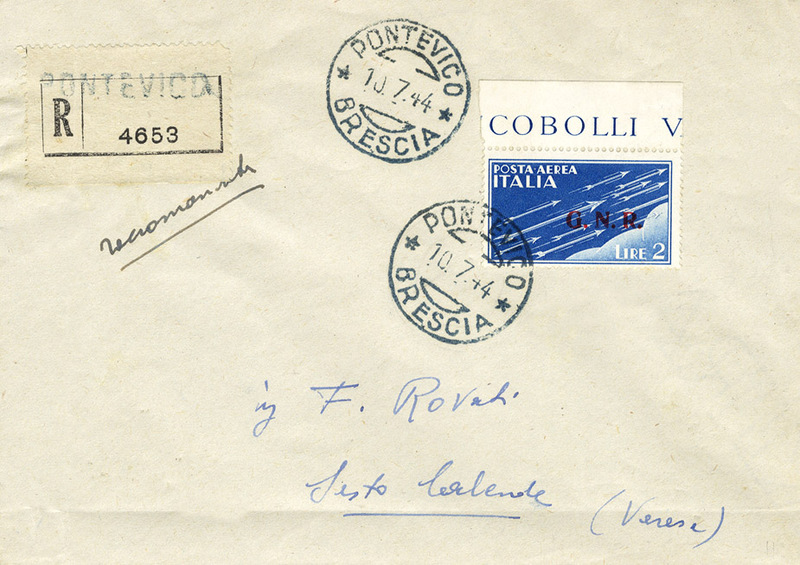 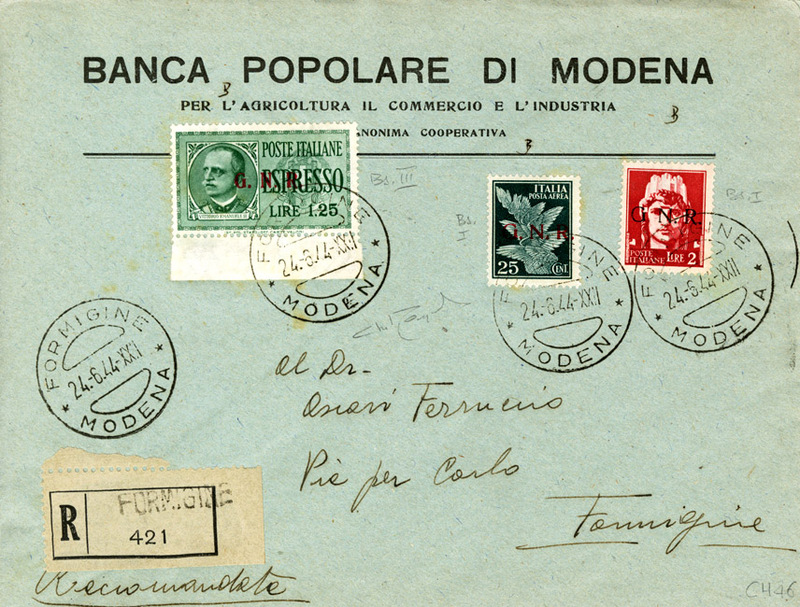 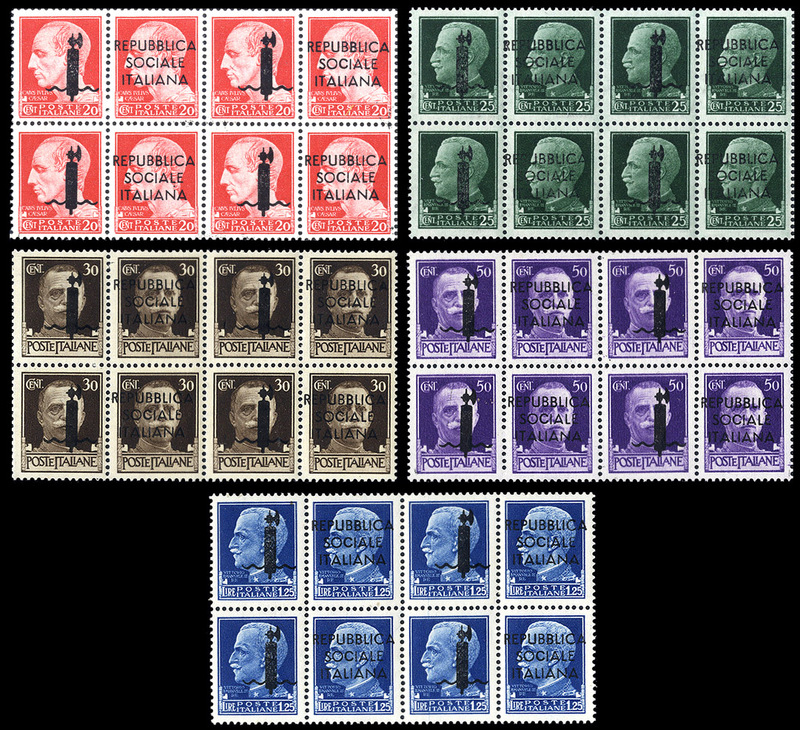 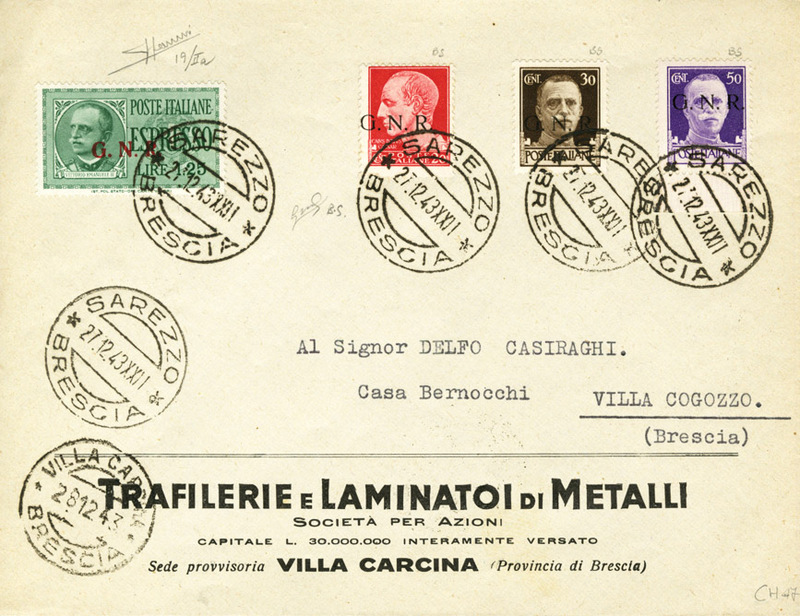 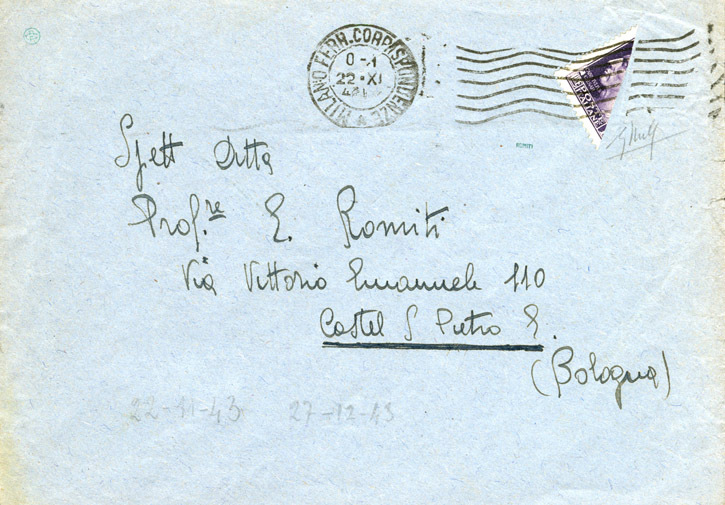 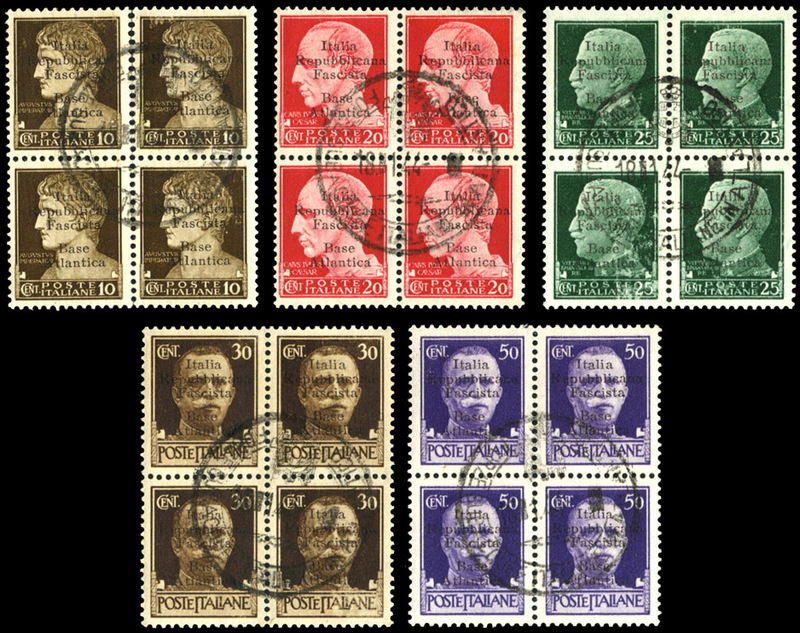 Below are the common variety of Italian Social Republic postage stamps, although still fairly uncommon on an envelope. 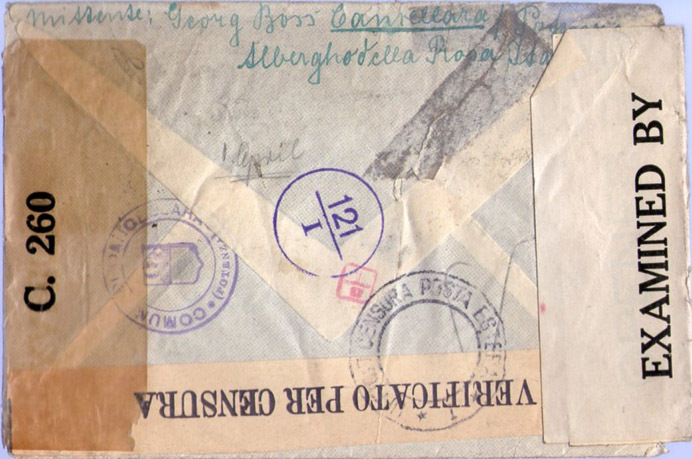 This is sent registered from Besano, Italy to Switzerland.